Fiji History unfolds the interesting story of this land. The Fijian legend reveals the fact that the great Lutunasobasoba led his people to this land. It is believed that the first inhabitants came from the Southeast Asia via the Malay Peninsula. Both the Melanesians and the Polynesians created the society. Therefore the Fijians are mixed people. According to Fiji History accidentally the Europeans discovered Fiji. Dutch explorer Abel Tasman and English navigators including Captain James Cook discovered this island group in 1643 in the 18th century they made further exploration. History of Fiji records the most popular discovery of Captain William Bligh, who sailed through Fiji in 1789 after the mutiny on the Bounty. Some shipwrecked sailors and runaway convicts from the Australian penal settlement were the first to land at Fiji. By the mid 19th century the missionaries and sandalwood traders arrive in Fiji. Fiji was colonized by the British in 1874 and was granted independence in 1970. Fijian History shows that the country accepted Christianity and the tribal wars came to an end. From 1879 to 1916 the British colonizers imported contracted labors from India to work in the sugar plantations. Many stayed here as independent farmers or businessman when the indentured system was abolished. The Indo-Fijian people comprise 43.6% of the population. The independent Fiji Government faced two coup according to Fiji History. One in 1987 to prevent the shifting of power to an Indian-dominated coalition party. The Indians faced ethnic discrimination during this period. Fiji witnessed another coup in 2000 which primarily demanded the dominance of ethnic Fijians as oppose to the 1998 constitution which provided a multicultural cabinet. 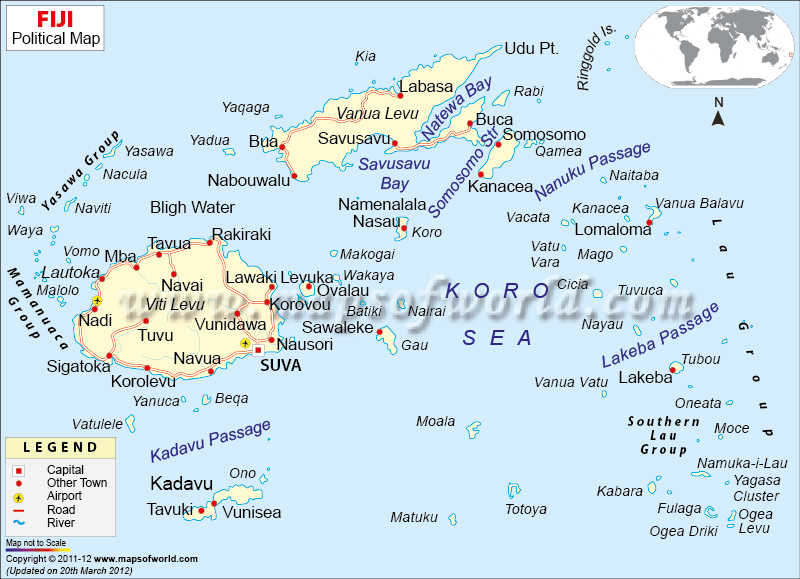 Fiji History has observed political unrest and it is a living phenomenon in Fiji.